Today, we announced that Amazon Alexa and Alexa-enabled devices are coming to Brazil later this year. 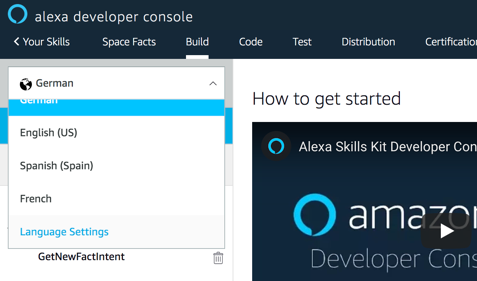 Starting today, developers can use the Alexa Skills Kit (ASK) to build skills for customers in Brazil using the new Portuguese (BR) language model. If you are new to skill development, check out this detailed walkthrough to get started. If you’re an experienced Alexa developer, you can enhance your existing skill by extending it to support the new Brazilian Portuguese language model. This tutorial will show you how you can add support for the Portuguese (BR) model for your existing skills. It will also show you how you can use ASK to enable Alexa to respond based on locales. How to update your AWS Lambda function so your skill delivers the right content to your customers in each of the supported regions—all from a single code base. 1. Navigate to your existing skill on the Amazon Developer Portal. 2. Click on the language drop down on the top right of the screen and select the last option: “Language Settings.” In this example, the skill already has language models for English, Spanish, German and French. Click on Save at the top of the screen. You will now have Brazilian Portuguese language as an option in the language dropdown menu. 4. Now provide the interaction model for the Portuguese (BR) version. You can do this by copying the interaction model from one of the English versions of our skill, and localizing the sample utterances and slot values and synonyms. In this example, we’re starting from English (US). Switch to the English version by clicking on the language dropdown in the skill builder, and choose English (US). 5. Click on JSON Editor on the left side bar. This displays the complete interaction model for the skill in JSON format. 7. Switch back to Portuguese (BR) using the language dropdown. 8. Click on JSON Editor again, and paste the JSON into the code window, replacing the existing JSON. 9. Localize all sample utterances, slot values, and slot synonyms. 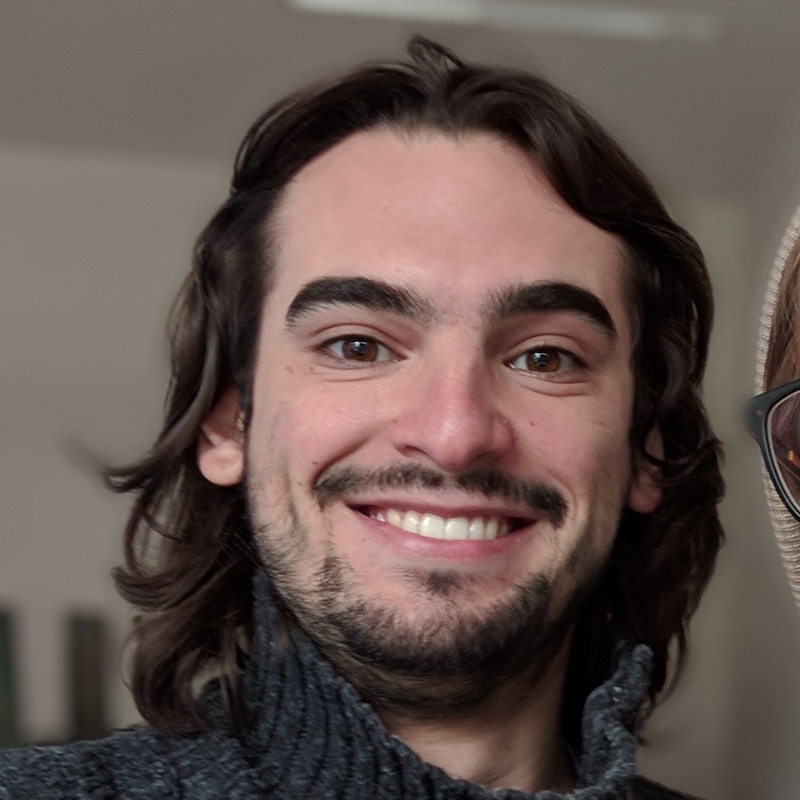 We now have the language model built for Brazilian Portuguese. You now need to translate the invocation name, the sample utterances, the slot values, and the synonyms. You also must localize the skill metadata, including skill name, description, keywords and the icons, should they contain localized content, such as text or currency symbols. Skills metadata are available in the “Distribution” tab of the Alexa Developer Console. In a typical development workflow, you will probably build the skill voice interaction model JSON document programmatically, based on different files you have with sample utterances and slot values. If your interaction model uses any built-in slot types, you may need to make changes to ensure that the types are supported in the locale. See the Slot Type Reference for a list of slot types for each supported locale. Once you have finished translating your interaction model for Portuguese (BR), you need to customize the responses your skill returns for the different locales that you support. Do this by updating your Lambda function. Now that your skill is ready to support multiple regions, you may want to update your Lambda function to ensure that your skill provides responses translated or tailored to each supported region. Step 0: Have a basic string localization library or class. // Creates a localize function to support arguments. Step 1: Take the strings from a language already supported by your skill. I’m taking the English string as a base for my translations. The “enData” object contains all the strings used by my skill in the English language. Our interceptor coupled with i18next supports both single strings and arrays, which can be seen on “FACTS”. Step 2: Localize the strings for Brazilian Portuguese. Using the English strings as base, I translated them to Portuguese also changing the object name from “enData” to “ptData” to reflect the new language. Step 3: Add the translated strings object to the list of supported locales. When initializing the i18next service during step 0 you might have noticed a reference to “languageStrings”. This is the list of supported locales and where to find them. Every language is reference by their locale code, i18next will always search for strings in the most specific match first. If for example you have all your strings available for “en” and only a specific welcome message written for “en-AU”, then requests coming from “en-AU” would receive this single welcome message while every other string would just get served from the “en”-pool. Here we added “pt-BR” to the end of our list and referenced the object we just translated. Using our interceptor in combination with the i18next library both showed in step 0 we can easily reference strings by their IDs and automatically answering the skill request with the right locale. The selected Strings will be rendered in the language that matches the locale of the incoming request. This handler for the "AMAZON.HelpIntent" just uses the "t" function saved in our request atributes referencing the ressource ID. That’s all that it takes to update your skill for Brazilian customers. We are excited to have Alexa available in Brazilian Portuguese soon, and we can't wait to see what you will build. This space facts skill localized to Portuguese (BR) is available for everyone to try out. Check out our documentation to learn more about how you can use ASK to create multi-language Alexa skills.